Most of us have had to deal with web bots in the past. Some folks use them to post spam or create fake accounts in online communities. Many webmasters used to take advantage of CAPTCHA to keep bots at bay. But traditional CAPTCHA systems don’t always work. Thankfully, there are alternative solutions that may be more effective in combating spammers. Are Your A Human is one of those plugins. 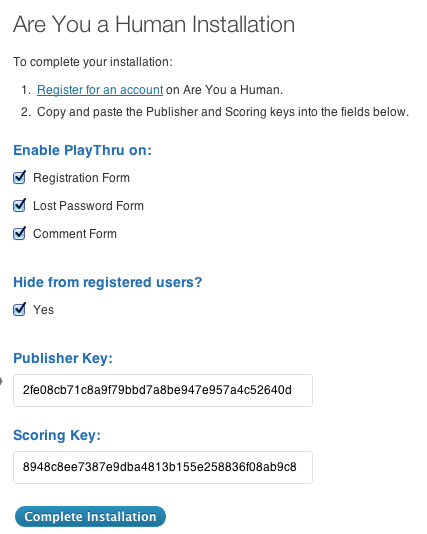 Are You a Human uses PlayThru to test whether your users are really human. Instead of subjecting your visitors to CAPTCHA, this plugin tests them with short and simple games. This also makes the job for spammers more difficult. PlayThru works with top plugins such as Contact Form and Gravity forms. The games are quite short but not annoying like CAPTCHA challenges. 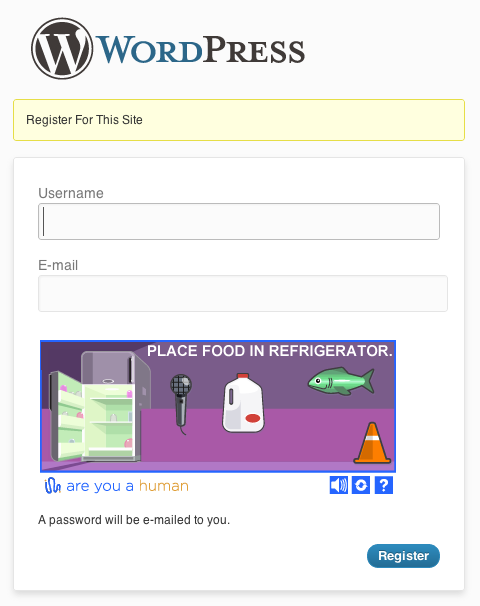 Are You a Human is easy to implement and free for personal sites. It is certainly worth trying as it provides a better user experience on your site. Besides, it makes it harder for web bots to mess with your website. The solution is overall very sleek too. I am very excited to see where these guys go from here. I already tested this plugin, but it is not multilingual. Which language you had in mind? but support said they do not want translation at the moment. Thanks for the mention! David, we have a French translation queued up and ready to go. If you send me an email (max@areyouahuman.com), I'd be happy to let you know as soon as it's available.